A great thing with NetEnt is the huge variation in their slots. Finn and the Swirly Spin is an odd Irish themed game with a different approach. It’s a 5-row and 5-reel video slot with symbols landing on the reels in a swirly pattern. Any vertical or horizontal line with 3 or more of a certain symbol will trigger a win. If you get a win, winning symbols will disappear and remaining symbols will fill the empty space. The wild symbol is a star that looks like a star from a Super Mario game. If you get a win without a wild symbol, a new wild symbol will appear in place of one of the symbols that has exploded. After each spin, new symbols will avalanche and fill the empty spaces until there are no further wins. During a spin avalanche wins are added to the balance with winnings from the main game. The highest valued symbol in the game is the ruby. The second highest valued symbol is the acorn. On third place is the golden horseshoe on fourth place is the four-leaved clover. The least valuable symbols are the spade and heart symbol. The three other symbols in the game are the freespins key, the star (wild) and sticky wild. During the game, the main character Finn will sometimes throw some magic and one of four different features will randomly occur. Starfall Wilds: Two or more wilds will randomly be placed on the reels. Dragon Destroy: It will destroy a random number of symbols that will then retrigger a respin. Irish Luck: A line of one symbol appears on the reels giving a guaranteed win. The symbol is chosen at random. Magic Transform: The lower valued spade and heart symbols will be transformed into a more valuable symbol. In the start of each spin (round) there will always be a freespins key symbol in the bottom left corner. The goal is to get this Freespins key into the keyhole in the middle of the gamefield. As wins occur and symbols disappear the key symbol will progress towards the center (middle) of the gamefield. Freespins will be activated if you are lucky and get the key into the keyhole. Every time you reach the freespins-mode a key is collected and stored in the bottom right corner. A beautiful thing is that the key meter will not reset when the game is closed. You will be able to continue to play with the number of keys you had collected when you restart the game. When you get the magic freespins key into the key hole, you reach the Freespins world. 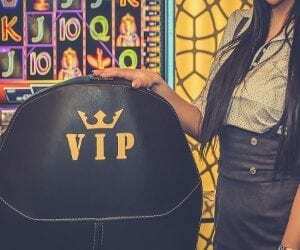 There are 4 different types of Freespins and you can choose the type you like but you need various amounts of keys to unlock a certain type of freespin. 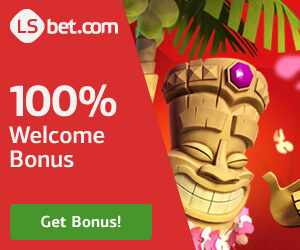 You receive 7 Star Bar Freespins – same feature as in Starfall Wilds. One key is required to unlock this type of Freespins. You receive 3 Lava Lair Freespins. A sticky Wild will show up in the place of the Freespins key symbol. Four keys are required to unlock this type of Freespins. 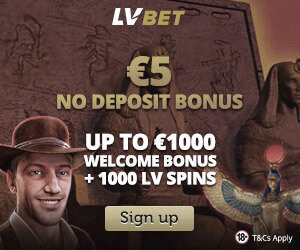 You receive 4 Lucky Mug Freespins – similar to the Irish Luck feature. Nine keys are required to unlock this type of Freespins. You receive 2 Golden Pot Freespins. – same as Magic Transform feature. 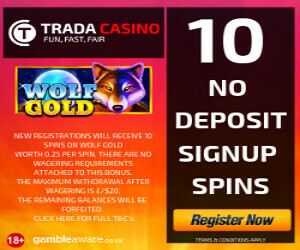 Sixteen keys are required to unlock this type of Freespins. The picture above is from the Freespins-world in the game. As you can see there are 4 different kinds of Freespins. *The maximum win of a game round may be higher than the maximum coinciding win, since a game round may include several spins. Finn and the Swirly Spin is a cozy game with lovely colorful cartoonish graphic. It’s an exciting game with lots of features and with spins that can last for long because of the avalanche feature. Some NetEnt games could have more footage but we think footage is not necessary in Finn and the Swirly. Like in Gonzo’s Quest one gets company throughout the entire game. In Gonzo’s Quest it’s Gonzo that entertains the player with different moves during the game, in this game it’s Finn that plays on a flute. Finn is a typical Leprechaun with red hair. A leprechaun is a small Irish man often dressed in green clothes from the Irish folklore. It’s believed that the Leprechaun reveals the hiding place of treasure if caught, in Irish folklore. White clouds, green hills, trees, clear blue sky and a mighty tree with swirls can bee seen in the beautiful background. The sound is good, friendly and has a magical fairytale clang to it. The relaxing atmosphere makes it pleasurable to play the game. This game fits all kind of players. A good thing is that the minimum bet is 0.1€. It means that you can use it as a “wager game” instead of Starburst or play for a smaller bet it you feel for it. What makes this game really interesting is that the key meter will not reset when the game is closed. It means that you will keep all your keys and enjoy the adventure for a long time and get rewarded if you play the game a lot or are a big fan of it. Another good game that will reward you for playing it a lot is Thunderstuck II. Like in Finn and the Swirly you get the possibility to choose between more kind of Freespins if you reach the Freespins-mode many times. This is a feature we appreciate. This is a unique game that has become a “NetEnt-classic”. Finn and the Swirly Spin is a great game with beautiful graphics that we recommend.